The Federal Government says that it will not go back on the 45 per cent increase in electricity tariff, adding that a reversal will cost over N575 billion. According to nta.ng, the Minister of Power, Works and Housing, Mr Babatunde Fashola, stated this in Abuja on Tuesday when he briefed the Senate Committees on Labour and Power during a public hearing on the new electricity tariff. The Nigeria Electricity Regulatory Commission ( NERC) announced a 45 per cent increment in electricity tariff earlier in January. The Senate after considering a motion at plenary in January, directed that the tariff be reversed to enable the Senate to conclude hearing on the case. However, the minister explained that the new tariff could not be reversed as it was necessary for the market to survive. He said that a number of indices, such as borrowing rate for investors, exchange rate , availability and cost of gas, among others also contributed to the hike. The minister pointed out that one of the reasons why the tariff had to go up was that a major component, a significant number of power plants depend on gas and that out of about 26 power plants, only about three are hydro. “We were heavily dependent on gas, people were exporting gas because gas was selling outside the country at four dollars and it was selling for domestic use at one dollar,” he said. The minister said that even with the recent hike in electricity tariff, Nigeria was still among countries with the lowest electricity tariffs in Africa and the world. Fashola added that since 2005 when the power privatization process started till 2013 when it was concluded, every segment of government was involved and would share the blame if there was any failure. “Enabling laws for the process were passed by the National Assembly in 2005 , the process completed by the Executive in 2013: if the process was bad, where was oversight?’’ he asked. Fashola, however, pleaded with the lawmakers and Nigerians to be more patient with government and investors on the process as three years was not enough to judge its success or failure. Explaining the non-implementation of the directive by Senate to reverse the tariff, Mr Anthony Akah, Acting Chairman, NERC, said that the directive would have created avoidable setbacks in the sector. He said if the directive was implemented, a market gap of about N575 billion would have been created which would have compounded the initial market gap of N187 billion the take-off tariff put on investors. 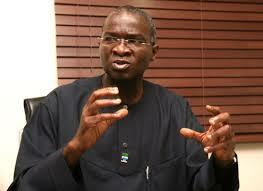 He said that NERC was also hindered by a court order, obtained by six generating and distribution companies. He said that the commission could also not easily reverse the tariff as the process was in compliance with section 76 (8) of the law guiding the operations of the commission. But the joint committee insisted that it was unacceptable for Nigerians to be paying so much but have limited power supply. The committee adjourned the public hearing to Wednesday.